SOUTHERN HOSPITALITY greets you in this dramatic Craftsman, Mountain Style Home. 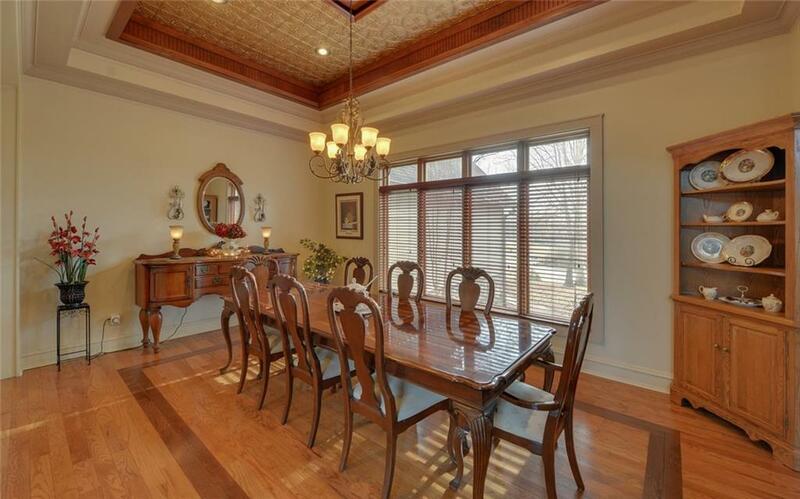 Wood beams accent the vaulted ceilings with natural light skipping thru the home from the numerous windows. 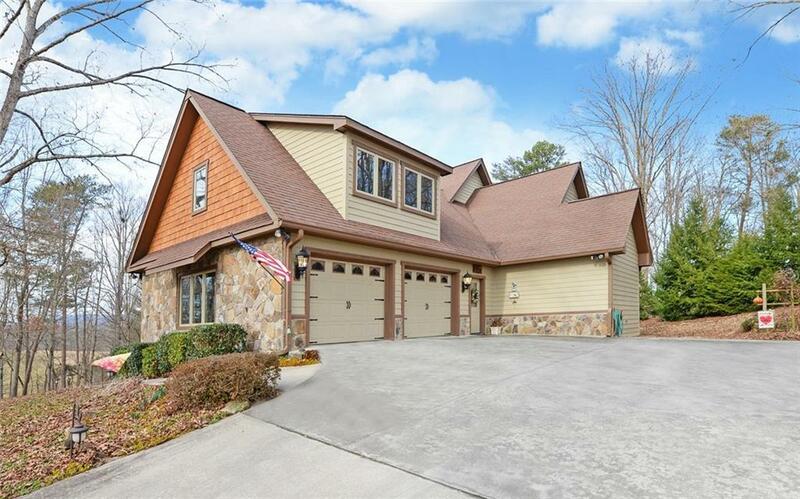 2 masters on the main with finished room over the garage. 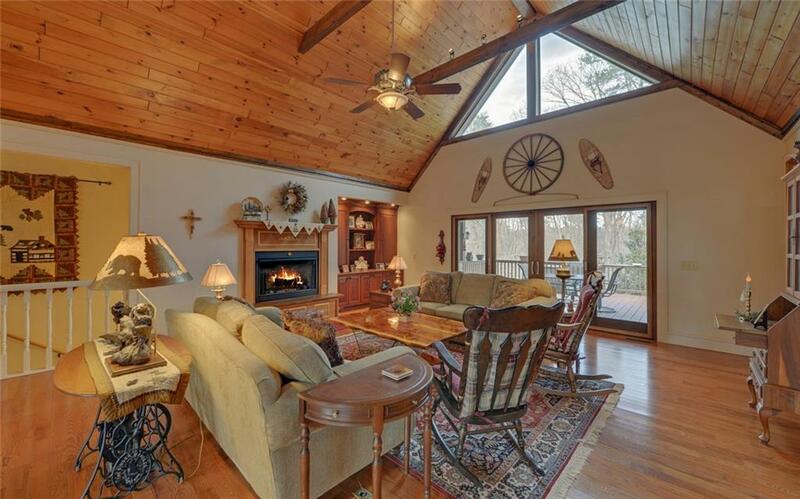 You will treasure your time spent in the cozy sun room boasting a wood burning stove. Terrace level provides another finished room and full bath and 2 workshops/craft room/play room. 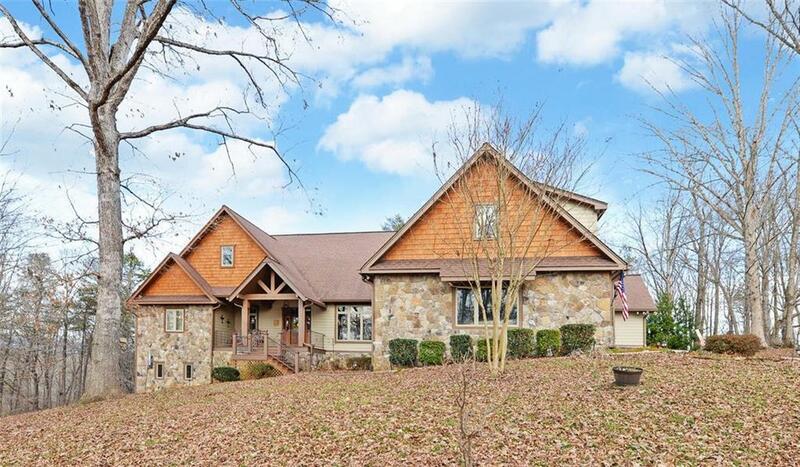 Seasonal mountain views and mature hardwoods.